Masami had the idea. 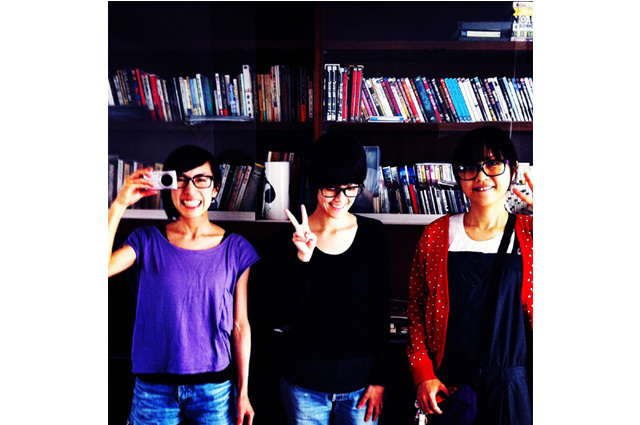 “I want to perform the music of a cool, good harmony.” Miwako and Hiromi were invited to the group so that Takashima might achieve the idea in 2006. The sound is so funny, but so cool like early Eno and Stereolab. Three girl are performing also in another group. Masami sings the synth pop by Coet Cocoeh, Hiromi performs avant-garde rock group by Hyakka, and Miwako is active in alternative rock duo named Masa Dayo Masa.